Council’s highways study will help ensure development is ‘sustainable and suitable’ for Alsager. 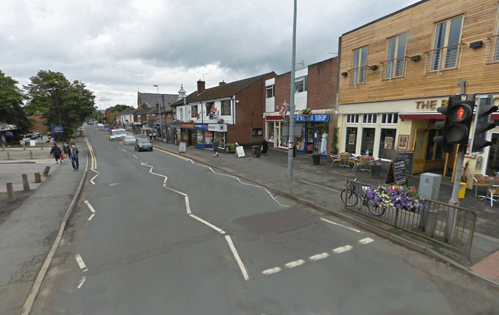 Cheshire East Council has undertaken a highways study to help ensure that any development in Alsager is both suitable and sustainable – and it suggests the town has reached its limit for housing development. Following a series of development proposals on the outskirts of Alsager, the Council has acted to produce a comprehensive highways report for the town. The study takes account of current planning permissions and planning appeals and advocates a coordinated approach to the local highway network. The report reveals that, even allowing for planned improvements, some road junctions are still likely to operate ‘over capacity’ at peak times. The new study will guide the response to any further developments in the locality – and will help ensure that appropriate improvements are made to the existing highways and transport network. Cheshire East Council Leader Councillor Michael Jones said: “This is a vital tool for promoting sustainable development in Alsager and protecting it from what is unsustainable and unsuitable. “The town has seen a number of developments granted on appeal – and these run the risk of creating sporadic and uncoordinated residential areas that pay little heed to the impact on local infrastructure. “We have acted to stem this trend – and now have a comprehensive approach to highways in the town. This Council is firmly committed to promoting development only when it is suitable and sustainable.